Fill a cocktail shaker with crushed ice. Add the vodka, eau de vie, grapefruit juice, ginger syrup, lime juice and date syrup and shake well. 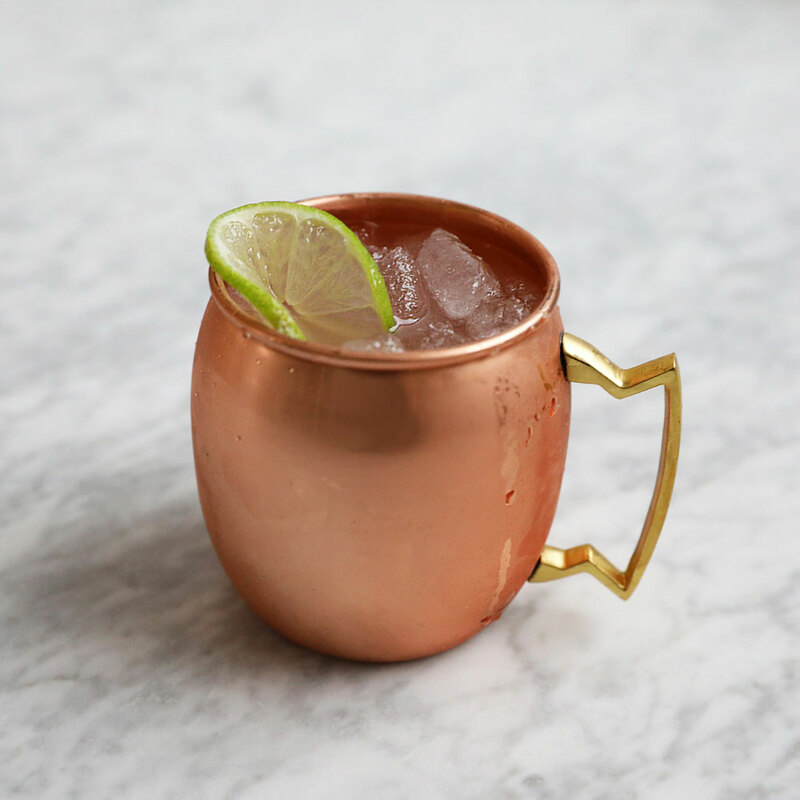 Strain into a crushed-ice-filled Moscow mule mug. Garnish with grated nutmeg, a lime wheel and a mint sprig. Serve right away. To make ginger simple syrup, simmer 1 cup each of sugar and water with 2 ounces of sliced fresh ginger, stirring, until the sugar dissolves. Let cool completely, then strain. Review Body: Vodka and grapefruit goes very good together!